I am always looking for new appetizers that I can serve around the holidays. I wanted a lot of simple and easy recipes to make this Thanksgiving because I actually wanted to remember the holiday instead of rushing around like a crazy person. This year, by far, was the most laid back I’ve been about the holiday. I completely forgot to make the onions to go on top of the green bean casserole until everyone showed up. There was something else I opted not to do as well, although it must not have been very important either if I can’t remember it now. Anyway, this recipe could easily be pulled together the day before and used very few ingredients, all of which I typically keep hanging around in the fridge anyway. The addition of the pretzel is what really sold me on these, making them even more adorable and providing a vessel to transport them to your mouth without actually having to touch the cheese ball. Genius! 1. Line two large baking sheets with parchment paper. In a medium bowl, beat together the cream cheese and blue cheese until smooth. Stir in the dried cranberries until fully mixed. 2. Spray your hands with non-stick cooking spray and roll the mixture into 24 tablespoon sized balls. Place the cheese balls on one of the prepared baking sheets and refrigerate for at least 2 hours. 4. Arrange the pecans in a single layer on the other prepared baking sheet and cook for 7-10 minutes or until just lightly toasted. 5. Allow to cool slightly before chopping. 6. 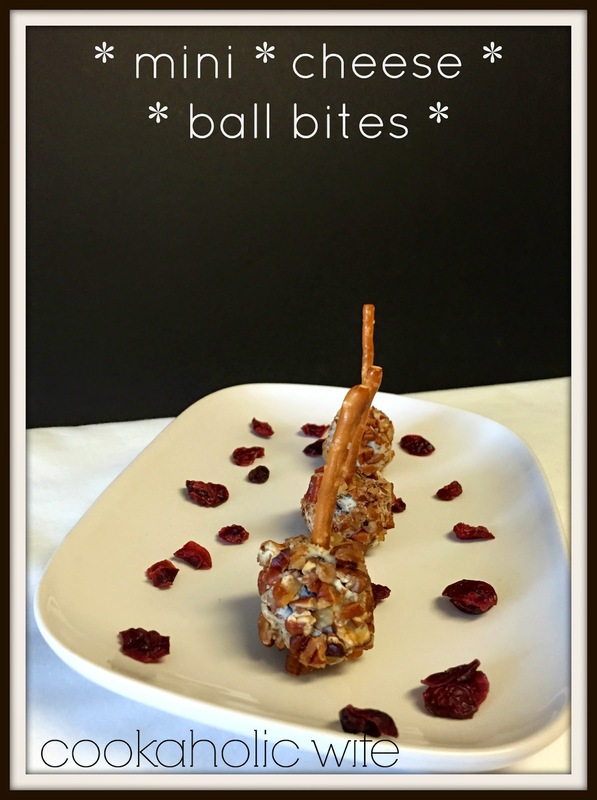 Remove the cheese balls from the refrigerator and roll in the chopped pecans, coating the entire cheese ball. 7. If serving immediately, stick a pretzel stick in the top of each cheese ball. 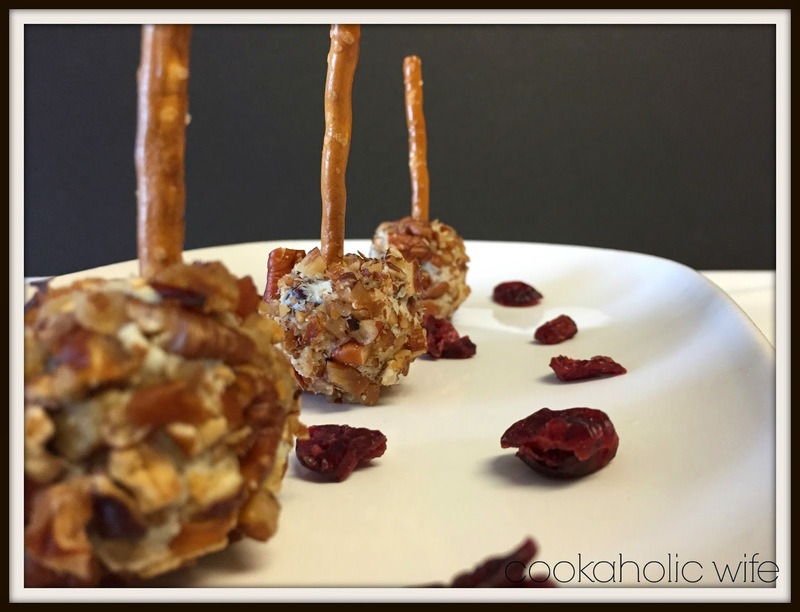 If serving later, return the pecan-coated balls to the refrigerator and add pretzel sticks just before serving. I made these the day before and let them sit on the counter for 15 minutes to just slightly warm up before sticking the pretzel sticks into the top. I thought these were delicious! If you aren’t a fan of blue cheese you could easily use any other crumbly or spreadable cheese to mix in. Weekly Menu 12/7 to 12/12 + Free Printables!